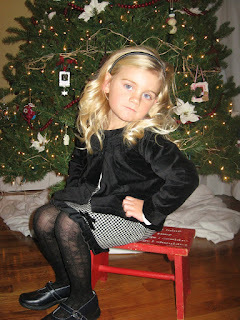 Keeping Up With the Kapenga's: Our little Christmas DIVA! 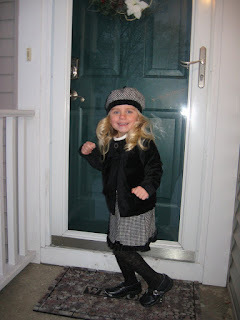 Any of you who know Jenna also know that she loves the camera and will ham it up when she sees you pull out the camera. 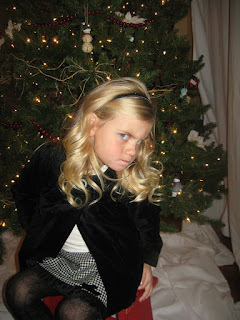 This was no different when I attempted to take her picture for Christmas cards this year. When you ask her to smile you usually get cheesy grin so I asked her to give me a nice smile and all I got was total attitude. Here are a couple photos that will NOT be making their debut on this years card! 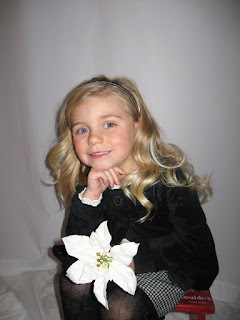 Then I tried some away from the Christmas tree but she insisted on needing this flower to hold on to. When I asked her to sit and smile she replied "how about if I just put my hand on my chin like this mommy?" End result.....looks like a senior picture pose, but thanks for trying Jenna. No need to remind me that she's only 3 and acting like she's 13.....we're in trouble! Oh my word. Haha. She is hilarious. I love seeing what funny thing Jenna has to say or do. Keep the posts coming. Makes my day!